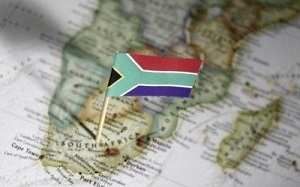 There is no way of getting around it; politics has a direct impact on business in South Africa today. With the lead up to the South African general elections a mere three weeks away, there seems to be a heightened awareness of the impact of politics on business in South Africa. JP Landman discusses this in his book “The long view”. In the book, JP Landman argues that if you look at the newspaper headlines, you are very likely to get swept up by this week’s drama. Very quickly you will become very negative about the country and its future prospects. All South African’s should rather take the long view. In his book, JP presents a balance sheet of forces pushing growth up and down. The down-side forces are the familiar challenges of political uncertainty, strikes, social unrest, poverty, inequality, crime, weak public sector institutions and low productivity. The up-side forces that are listed include planned infrastructure investment, rising employment, property rights, a sound legal system, the ability to adopt new technologies, increasing relations with the BRIC countries and integration into sub-Saharan Africa. It is argued that we can muddle through with growth of 3%, as “even low growth weaves its magic”. The long view is that our bigger ambitions lie in the National Development Plan (NDP). The stepping stones to this are massive infrastructure development, the Industrial Policy Action Plan and “various proposals under the NDP”, including promoting exports, support for SMEs and a more responsive labour market. Moving beyond economics, the arguments are that government and the private sector need to trust one another, that we need an ambition to perform and that leadership is critical. The NDP is the National Development Plan. It outlines a three-pronged strategy to address unemployment and economic growth. The first is that, in addition to boosting educational levels, we must promote industries that are labour-absorbing, such as mining, agriculture, construction, hospitality and small businesses. The second is that we must grow the more advanced sectors of the economy, such as manufacturing, parts of financial services, telecommunications and business services. The third is that we should continue to provide a social wage to enable the poorest of South Africa’s people to have a decent standard of living and to build their capabilities to get better jobs, higher incomes and a broader range of benefits. JP Landman will be presenting a talk at the Bryanston Country Club (Johannesburg) on the 6th of May 2014. The JP Landman talk, about the effects of business and politics on the South African economy, which is sponsored by The Finance Team, Aon South Africa, Nolands and FNB Vumela, will be addressing top businessmen in Johannesburg about the influence of politics on business prior to the 2014 Election on the 6th of May at the Bryanston Country Club. If you would like to attend this talk register HERE as seats are limited. To Register to attend the JP Landman talk on the 6th of May. Enter here.